Qatar’s withdrawal from OPEC will not risk the cartel’s goal of decreasing the crude production next year, Ann-Louise Hittle, vice president, macro oils at Wood Mackenzie research and consulting company told Trend. "Qatar has minimal spare capacity so its exit won't affect the volume of oil supply in the market during 2019 or risk OPEC's goal of reducing output next year. However, it does come at a time when OPEC needs to hammer out a deal in the face of market scepticism in the cartel’s ability to control production," she said. Hittle believes that more positive for OPEC is the statement from President Vladimir Putin in Argentina at the G20 that Russia has agreed to cooperate with OPEC to ensure production restraint during 2019 as needed. She went on to add that rather than being a reaction to the 18-month long regional blockade against it, Qatar's withdrawal is more likely a result of its effort to focus on its place as one of the world’s leading gas producers. "The smaller nations of OPEC have a relatively quiet role in the group's decision making and Qatar may also see that it has less to gain from its membership now that is not involved in the GCC," added Hittle. Lynn Morris-Akinyemi, research analyst, MENA upstream, at Wood Mackenzie, for her part said that the news should not come as a huge surprise. "Qatar is OPEC’s smallest Middle East oil producer, and the group’s fifth smallest producer overall. Its total 2018 oil production is estimated at 600,000-650,000 barrels per day, less than 2 percent of OPEC’s oil output," she noted. Morris-Akinyemi said went on to add that since lifting the 12-year ban on development of the North Field in April 2017, Qatar unveiled ambitious plans to increase its LNG capacity from 77 million tons per annum to 110 million tons per annum. "This will be achieved via a new four mega-train LNG development, due onstream in 2023. 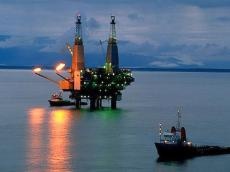 Qatar’s OPEC exit underlines the country’s aim to maintain its place in the global LNG market." Qatar has announced it will withdraw from OPEC on 1 January 2019, putting an end to its 57-year membership of the producers’ cartel. Qatar, which said it intends to focus on its gas production, made the announcement ahead of the 6 December OPEC meeting.